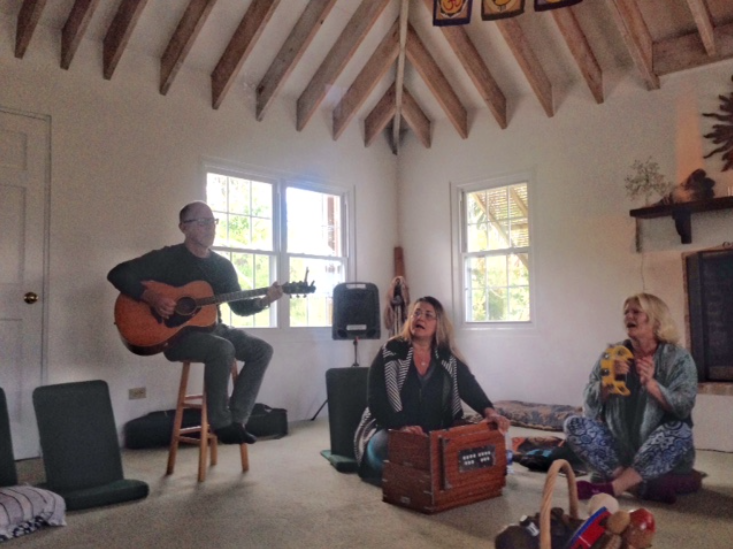 KIRTAN is a very different kind of music. It is the yoga of sound and is call and response chanting of ancient mantras. It began in India centuries ago as a spiritual practice to connect with the Divine. Based on ancient chants, it has the ability to quiet the mind if listened to with intention. 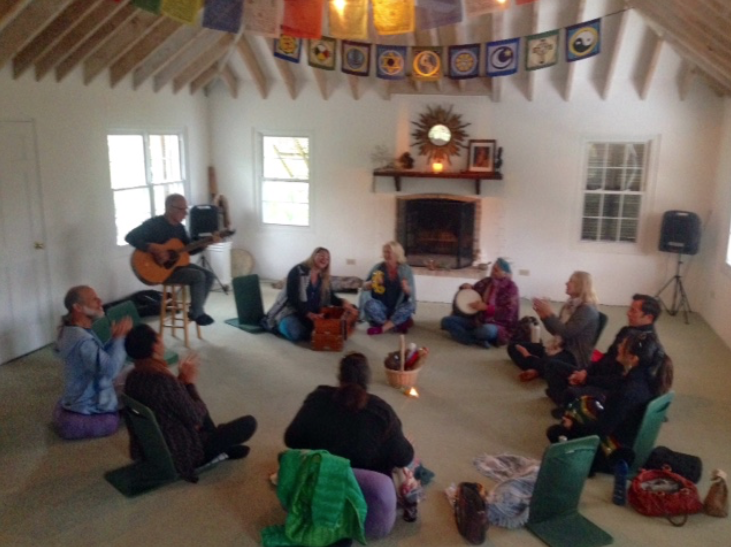 Everyone experiences kirtan differently, and it doesn’t have to be a religious experience. You can think of it as a sing-along. "It’s effortless & joyful; the music does the work for you as you flow with the melody & rhythm." 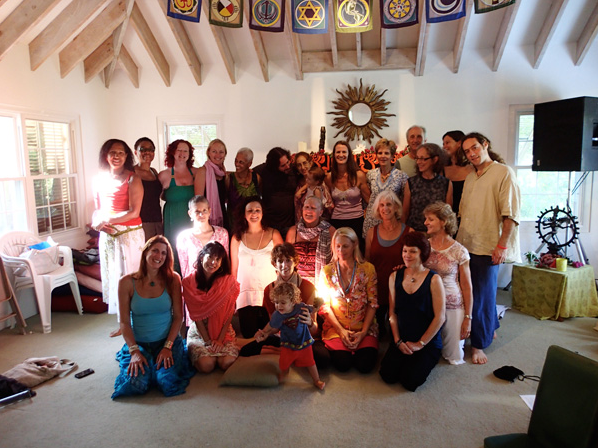 The Bermuda Kirtan Group is an informal gathering of spiritual seekers. Sometimes we have a harmonium player in the house and occasionally a guitarist comes along but other times it's just the voices and percussion instruments. There is not much of a distinction between performers & audience. ​Everyone creates the experience together. ​The wallah (leader) sings the mantra and the group sings in response. There is no official wallah for our group but we do have a few experienced chant leaders that guide us; or, we take turns depending who is in attendance on the night. Because kirtan has roots in India, many of the songs are sung in Sanskrit. But sometimes English songs are also shared. Singing in an ancient, holy language, you can become completely immersed in the sound, with no words to distract the mind. In this way Kirtan can be a meditation. The magic of the chants carry you within. As you sing with each other you experience a deep connection with the musicians, the other group members and yourself. And when the music stops, your mind is quiet. Come and join us to experience the joy of chanting! Spirit House, Middle Road, Devonshire. Suggested $5.00 donation to Spirit House. 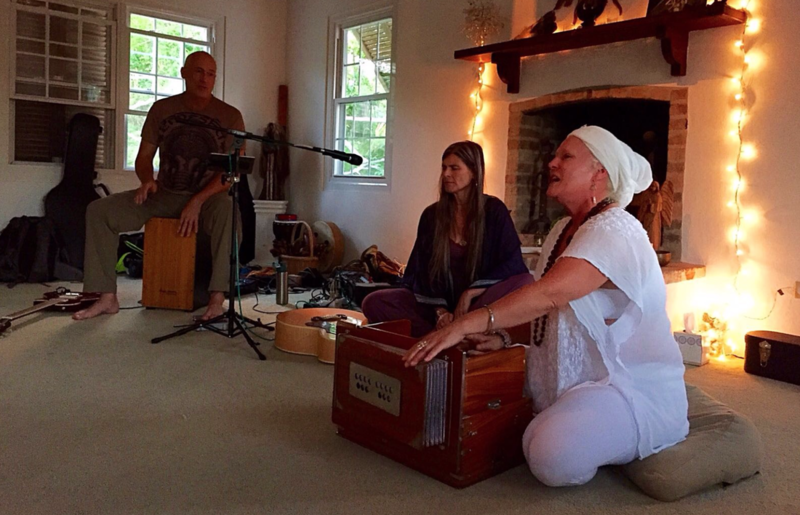 "There was something about kirtan, about the sacred mantras and chanting, that infused my very being and wouldn’t let go – and I didn’t want it to."